If you found your way to this post, and you’ve been to this website before, you probably notice a few changes. Ok, a LOT of changes. I remember a time earlier in my life when I treated progress as a checklist. Completed grade 4. Completed grade 5. Completed grade 6. On and on the list went. My stomach dropped. Do it again? Look at all that time consuming, computer work when I could be riding a HORSE! Do it again? But on second thought…isn’t that exactly what I’m willing to do in the area I love? 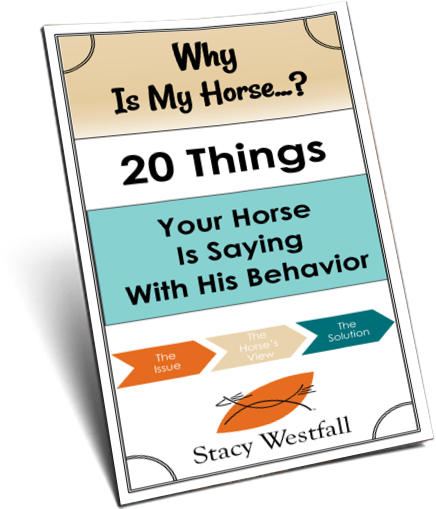 When I have to ‘do-it-again’ and go out and show the horse the same lesson 60 days in a row…I expect it. Do it again. Last night we went down to the All American Quarter Congress to watch the reining futurity finals. Every one of the horses that made the finals had practiced again and again. Which face does stall cleaning cause in you? 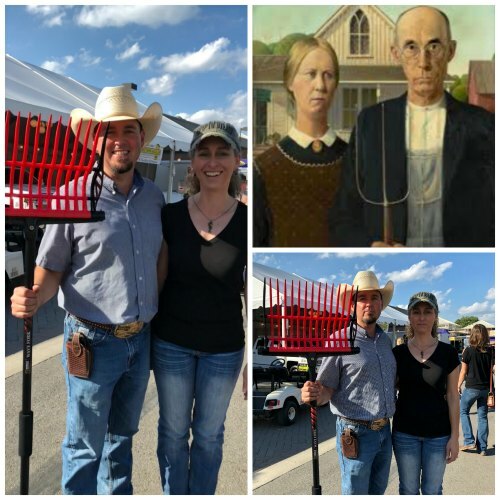 While we were there we bought a new pitchfork…because we all know where we spend a huge amount of time, right? A friend thought it would be funny to take a photo of us with it. Let’s recreate that famous old photo. Who knew having a straight face during a silly photo would be that hard?! We did it again, and again…and again. Just like anything we want to get better at we must commit to doing it again. Welcome to my new website. Take a look around but don’t be surprised if you see changes when you return. I’m committed to improvement which also means I’m committed to doing it again. Can’t wait for the training DVD. My daughter wants to do that some day—for herself and a future horse. I’d love to get her the DVDs so she could watch them now. Loved all your Jack videos! I am not nor never will be a trainer, but I love to see you in action doing what you do. I will have to wait on questions till my daughter’s horse is rideable again. At the end of March a newcomer gelding kicked “Walker” in the jaw and fractured it. Then, several weeks ago, Walker was getting turned out with quite a few other horses (too many at one time😏). Another young stud got exuberant (from what they told me) and charged Walker. Walker could not get out if the way as he had another horse on his left. The young stud ran into Walker, and they both fell to the ground. We think Walker got a concussion—he was hesitant to move. The other horse almost didn’t make it up. When he did, they found in an x-ray that his shoulder had been shattered—they had to put him down. The vet thinks there was some damage to Walker’s radial nerve—he’s moving “oddly” now, but when we had them take an x-ray, he was also found to have a fractured palate!! This poor boy cannot take any more challenges to his pecking order position (at the top). He is 16–we just hope we can keep him for another ten years! Anyway, once we start riding him again, we’ll have to see how hus mocement is. I may have questions for you at that time. Again, cannot wait for your training DVDs and to be able to ask you questions. Oh, my daughter and I did see you at the Midwest Horse Fair in Wisconsin a couple years back—it was incredibly exciting for us! Wow! That poor guy can’t catch a break…or let me rephrase that, he can’t keep out of the firing range! Hopefully, he gets healed up and until then, enjoy the content! Oh-my. That does sound rough. I’m sorry that this happened to you and your horse. I would encourage you to find someone who will teach you how to train. Although I do see the value in trainers working with horses I also see even more value in the owners learning how to do as much as possible themselves. One of the most common times for a trainer to be involved is during the first few rides as having experience at that point is helpful. Unfortunately, it sounds like your horse had a bit of a rough time. What is your experience level? You say, “he rides ….but not because he wants to.” Does that mean you feel safe but you sense he isn’t fully there? Or do you feel unsafe because of his lack of ‘want to’? He is only two so you have lots of time ahead of you. I hope you can find someone to take lessons from on a regular basis or someone to attend a clinic with. Of course, learning through DVD’s and other media is great if you have a base of experience to pick up at the level your horse is at. 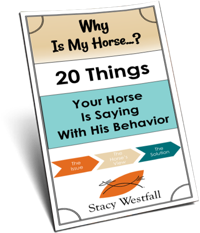 I’m working on a course that will help people develop a training plan for their horses. It isn’t ready yet but my aim is to help people who are at home and trying to decide what the next step is. Maybe this will help you in the future!